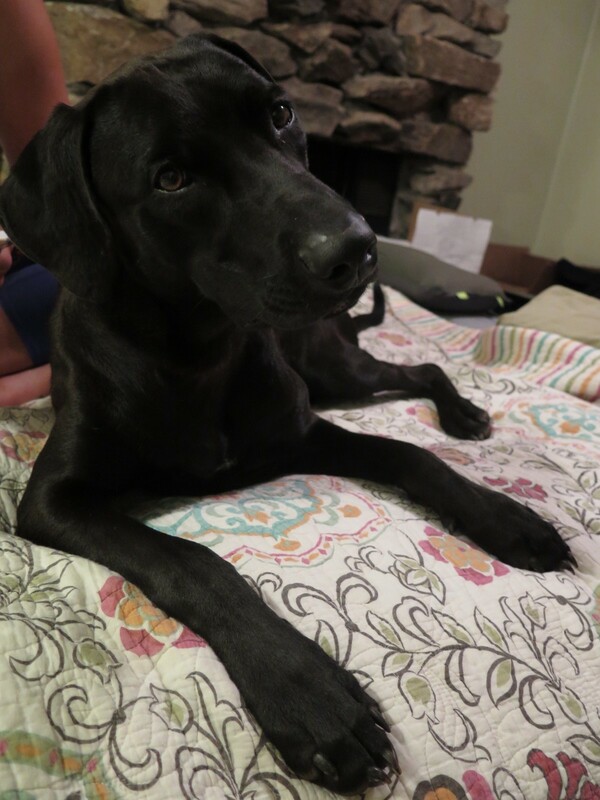 Levi is a one year old Red lacy, Black Lab mix. He is on an adventure with our daughter, Kayli Cross, and her girlfriend, Deborah Hughes, as they backpack the Appalachian Trail from West Virginia to Maine. It will take them approximately 3 months to complete their journey. Levi is the sweetest dog, & has the energy to make this trip with our daughter.